1. 2006, Kulwant Singh, Pandey Sunil and Arul Mani, “Recycling of submerged arc welding slag”, Australasian Welding Journal, Vol. 51, 2nd Quarter, 2006, pp. 34-38. 2. 2007, Kulwant Singh and Pandey Sunil, “Utilization of slag as a useful flux in submerged arc welding”, Indian Welding Journal, Vol. 40 (3), pp. 30-38. 3. 2007, Jagtar Singh and Kulwant Singh, “Productivity measurement model for district level government hospital”, Industrial Engineering Journal, Vol. 1(12), pp. 7-11. 4. 2008, Pandey Sunil, Kulwant Singh and K. Sahoo, “Chemistry of weld metal with recycled slag in submerged arc welding”, IWS Journal, 5(3), pp 52-57. 5. 2009, Kulwant Singh and Pandey Sunil, “Recycling of slag to act as a flux in submerged arc welding”, Resources, Conservation and Recycling, Vol. 53(2009), pp.552-558. 6. 2009, Kulwant Singh and Sunil Pandey. “Recycled slag consumption in submerged arc welding and its effect on microstructure of weld metal”, Indian Welding Journal, Vol. 42 (4), pp. 46-51. 7. 2010, Jagtar Singh, Kulwant Singh and Gurdeep Singh, “Mathematical modeling of exhaust emission of a spark ignition engine on LPG”, Indian Journal of Engineering, Science and Technology, Vol. 4(1), pp. 95-100. 8. 2010, Gurmit Singh, Kulwant Singh, Jagtar Singh, “Mathematical modeling the effect of welding parameters on penetration in submerged arc welding” International Journal of Engineering Studies, Vol 2 (3), pp. 313-320. 9. 2010, Kulwant Singh, Hardeep Singh, Handip Singh, “Bead geometry with crushed slag in submereged arc welding”, Vol 5 (17), International Journal of Applied Engineering Research”, Vol. 5 (17), pp. 2901-2912. 10. 2010, Gurmit Singh, Navnit Goyal, Kulwant Singh, Jagtar Singh, “Mathematical modeling of process parameters in friction stir welding of aluminium” International Journal of Advanced Engineering Technology (IJAET), Vol.1 ( III), Oct.-Dec., 2010, pp. 145-158. 11. 2011, Gurmit Singh, Kulwant Singh, Jagtar Singh, “Developing parametric window and mathematical model to predict micro hardness of friction stir welded aluminium alloy AA 6082 joints” International Journal of Materials Engineering Innovations, Inderscience publisher, Vol. 2, No. 3/4., pp 279-287, DOI:0.1504/ijmatei.2011.042882. 12. 2011, Gurmit Singh, Kulwant Singh, Jagtar Singh, “Effect of axial force on mechanical and metallurgical properties of friction stir welded AA 6082 joints” Advanced Materials Research, Trans. Tech publication, Switzerland. Vols. 383-390 (2011), pp 3356-3360. DOI: 10.4028/www.scientefic.net/AMR.383-390, pp. 3356-3360. 14. 2014, Gurmit Singh, Kulwant Singh, Jagtar Singh, “Modeling the effect of process parameters on tensile strength of friction stir welded aluminium alloy joints”, Experimental Techniques, Wiley publication, (IF: 0.583), Vol. 38, Issue 3, pp 63-71. 15. 2011, Jasvinder Singh, Kulwant Singh, Jatinder Garg, “Reuse of slag as a flux in submerged arc welding and its effect on chemical composition, bead and microstructure of weld metal”, International Journal of Surface Engineering and Material Technology, Vol. 1, No. 1, pp 24-27. 16. 2012, Jatinder Garg, Kulwant Singh, “Reuse of slag in stainless steel cladding and its effect on on chemistry of cladding” Journal of Environmental Research and Development, Vol 6, No 3A, Jan-March 2012, IF:0.157. 18. 2013, Harish Arya, Kulwant Singh, Sanjay Singh, “Cooling rate effect on micro hardness for SAW welded mild steel plate”, Internation Journal on theoretical & applied research in mechanical engineering (IJTARME), vol 2, issue 2, pp 71-77). 19. 2016, Paramjeet Shakya, Kulwant Singh, Surinder Kumar Thakur, “Effect of various fluxes on weld characteristics in activated TIG welding process”, Journal of Basic and Applied Engineering Research (JBAER), Vol. 3, Issue 10, pp 879-882. Krishi Sanskriti Publication. 29. 2018, Aditya Kumar and Kulwant Singh, “Development of exothermic flux for enhanced penetration for submerged arc welding process” Journal of Advanced Manufacturing Systems” WOS/Scopus. 1. 2004, R.Arulmani, Sunil Pandey, Kulwant Singh, “Hard facing of plough share”, International Symposium on Welding, SOJOM 2004, WRI, Tiruchirappalli, 2. 2005, Kulwant Singh, Pandey Sunil, “Effect of recycled slag on bead geometry in submerged arc welding”, 14th ISME International Conference on Mechanical Engineering in knowledge age, Dec.12-14, 2005. Delhi College of Engineering, Delhi, India. 3. 2006, Amit Jindal, Jatinder Garg and Kulwant Singh, “Mathematical modeling of bead geometry and metal deposition rate in submerged arc welding”, Asian Conference on Intelligent System and Network (AISN-2006), February 24-25, 2006, Haryana Engineering College, Jagadhri, Haryana, India. 4. 2007, Kulwant Singh, Sunil Pandey and A.S.Shahi, “Development of technology for recycling submerged arc welding slag”, Global Conference on Production and Industrial Engineering (CPIE-2007) held from March 22-24, at NIT, Jalandhar, Punjab. Paper code-326. 5. 2007, A. S. Shahi, Sunil Pandey and Kulwant Singh, “Modeling of dilution in stainless steel cladding deposited through mechanized GMAW and UGMAW process using RSM approach”, Global Conference on Production and Industrial Engineering (CPIE-2007) held from March 22-24, at NIT, Jalandhar, Punjab. Paper code-328. 6. 2008, Kulwant Singh, Pandey Sunil, “Recycled slag consumption in submerged arc welding”, IIW International Congress (IC-2008) held from January 8 to 10, at Chennai, pp. 959-964. 7. 2008, A. S. Shahi, Sunil Pandey and Kulwant Singh, “Dillution and corrosion rate of GMAW stainless steel cladding through auxiliary preheating of welding wire, IIW International Congress (IC-2008) held from January 8 to 10, at Chennai, pp. 959-964. 8. 2008, Jagtar Singh, Kulwant Singh and Richa Sahni, “Optimization of welding parameters in friction stir welding of aluminium”, International Welding Symposium on Advances in Materials and Joining- Challenges and Opportunities organized by IWS during February 13-15, New Delhi. 9. 2008, Kulwant Singh, Pandey Sunil, “Economics of recycling submerged arc welding slag” ASM Conference, USA. 10. 2008, Richa Sahni, Jagtar Singh, Kulwant Singh, Pandey Sunil, “Effect of welding parameters on mechanical properties in friction stir welding of aluminium”, SOJOM 2008, Tiruchirappalli, pp. 515-524. 11. 2010, Kulwant Singh, Pandey Sunil, “Productivity improvement through slag recycling in submerged arc welding”, International Conference on Road Map for Excellence in Welding” held at India Habitat Center, New Delhi during 19-20 November, 2010. 12. 2010, Gurmeet Singh, Kulwant Singh, Jagtar Singh, “ The effect of welding parameters on bead width and reinforcement in submerged arc welding”, International Conference on Production and Industrial Engineering, held at NIT Jalandhar, Dec., 3-5, 2010, pp 100-105. 13. 2010, Gurmeet Singh, Kulwant Singh, Jagtar Singh, “Influence of process parameters on impact toughness of friction stir welded AA 6082 aluminium alloy joints”, International Conference on Production and Industrial Engineering, held at NIT Jalandhar, Dec., 3-5, 2010, pp 220-225. 14. Garg J, Singh K, (2011) “Reuse of Slag in Stainless Steel Cladding and Its Effect on Chemistry of Cladding” in the proceedings of 4th International Congress of Environmental Research (ICER-11), Dec. 2011, NIT Surat (Gujrat) India. 16. 2011, Harish Arya, Kulwant Singh, Ravindra K Saxena, “Influence of cooling rate on mechanical properties of weld in SAW, Annual International Conference on Materials Science, Metal and Manufacturing”, Dec 12-13, 2011, Singapore, DOI:10.5176/2251-1857¬-M336. 17. 2015, Harish Arya, Kulwant Singh, Ravindra K Saxena, “Effect of welding parameters on penetration and bead width for variable plate thickness in submerged arc welding”, 17 th International Conference on Robotics and Mechanical Engineering (ICRME 2015), Aug 27-28, 2015, pp 2482-2486, Paris, France. 18. 2016, Tajinder pal Singh, Jagtar Singh, Kulwant Singh, “An investigation on abrasive wear behaviour of rotary blade (AISI 30Mn CrB4) under different quenching parameters” Proceedings of International Conference on Production and Industrial Engineering (CPIE-2016), held at NITJ. , Bhupinder Singh, Kulwant Singh, Varinder Sahni, “Defect free welding of rare earth containing ZE-41 magnesium alloy by using friction stir welding: An experimental approach” 2nd International Conference on Research and Innovations in mechanical engineering (ICRIME-2017), held on Dec. 22-24, 2017at GNEC, Ludhiana. 20. 2019, Mukesh Kumar, Manisha Kumari, Deenbandhu Kumar and Kulwant Singh, “Development of exothermic flux for enhanced metal deposition rate, penetration and reinforcement in submerged arc welding” Proceeding of International Conference held at BGIET, Sangrur. , Hazoor Singh, Kulwant Singh, Jagtar Singh, “Energy saving in welding processes” Proceedings of National Conference on Emerging Energy Technologies (NCEET-03), March 28-29, Mechanical Engineering Department, NIT, Hamirpur (HP). 2. 2003, Kulwant Singh, N.Mohan and Pandey Sunil, “Submerged arc welding fluxes- A review, ” Proceeding of NWWT-2003 (National Workshop on Welding Technology in India: Present status and future trends) held on April 25-26, organized by SLIET, Longowal, Punjab, India, pp. 200-210. 3. 2003, Kulwant Singh, Pandey Sunil, Narender Mohan, Hazoor Singh, “Investigation into flux consumption in submerged arc welding”, Proceedings of NCME-2003 (National Conference on Recent Developments in Mechanical Engineering), held on Oct. 31-Nov. 1, at TIET, Patiala, Punjab, India, pp. 557-562. 4. 2003, N. Mohan, Kulwant Singh and Pandey Sunil, “Flux formulation and element transfer behaviour in submerged arc welding”, Proceeding of NWWT-2003 (National Workshop on Welding Technology in India: Present status and future trends), held on April 25-26, organized by IWS & IITD at SLIET, Longowal, Punjab, India, pp. 21-30. 5. 2003, Narender Mohan, Sunil Pandey, Kulwant Singh, Sachin Maheshwari, “Flux designing and element transfer behavior in submerged arc welding”, Proceedings of NCME-2003 (National Conference on Recent Developments in Mechanical Engineering), held on Oct. 31-Nov. 1, at TIET, Patiala, Punjab, India, pp. 534-538. 6. 2006, Kulwant Singh and Pandey Sunil, Chemical composition of weld with recycled slag in submerged arc welding, Nation Symposium on Welding Technology (NSWT-06), Feb 24-25, 2006, SLIET, Longowal. 7. 2006, Amit Jindal, Manoj Mittal and Kulwant Singh, Enhanced productivity through metal powder additions in SAW- A review, National conference on Recent Trends in Engineering and Applications of Computational Techniques, BGIET, Sangrur, 5-6 April, 2006, pp 93-96. 8. 2007, Kulwant Singh, Pandey Sunil and A.S.Shahi, “Operating characteristics of recycled slag in submerged arc welding”, Proceedings of WPQ-2007 (National Conference on Welding Productivity and Quality) organized by Naval Research Board and Naval Materials Research Laboratory-DRDO, Ambernath, Thane, held on February 19-21, 2007, pp. 247-257. 9. 2007, A.S. Shahi, Kulwant Singh and Sunil Pandey, Parametric optimization and comparison of penetration in GMA and Universal-GMA stainless steel cladding, Proceedings of WPQ-2007 (National Conference on Welding Productivity and Quality) organized by Naval Research Board and Naval Materials Research Laboratory-DRDO, Ambernath, Thane, held on February 19-21, 2007, pp. 247-257. 10. 2007, Kulwant Singh and Pandey Sunil, “Best out of the waste: Recycling submerged arc welding slag”, National Conference on Design, Dynamic and Manufacturing, 16-17 March, Department of Mechanical Engineering, SLIET, Longowal. 11. 2007, Kulwant Singh and Sunil Pandey, “Modeling the effect of welding parameters on bead geometry in submerged arc welding using recycled slag” Proceedings of All India Conference on Recent Developments in Manufacturing & Quality Management (RDMQM-07), October 5-6, 2007, Mechanical Engineering Department, Punjab Engineering College, Chandigarh. 12. 2010, Jatinder Garg and Kulwant Singh, “Recycling of submerged arc welding slag for ecomomy and environment”, National Conference on Advancement and Futuristic Trends in Mechanical and Materials Engineering, February 19-20, 2010, Department of Mech. Engg., Yadavindra College of Engineering, Talwandi Sabo, Punjab. 13. 2010, Kulwant Singh and Jagtar Singh, “Influence of slag flux mixture on mechanical properties of weld metal in submerged arc welding” National Conference on Advancement and Futuristic Trends in Mechanical and Materials Engineering, February 19-20, 2010, Department of Mech. Engg., Yadavindra College of Engineering, Talwandi Sabo, Punjab. 14. 2010, Gurmeet Singh, Kulwant Singh and Deepti Jaiswal, “Mathematical modeling of process parameters in friction stir welding of aluminium alloy, National Conference on Advancement and Futuristic Trends in Mechanical and Materials Engineering, February 19-20, 2010, Department of Mech. Engg., Yadavindra College of Engineering, Talwandi Sabo, Punjab. 15. 2010, Kulwant Singh, Hardeep Singh, Handeep Singh, “Bead geometry with crushed slag in submerged arc welding”, National Conference on Precision Manufacturing, March 26-27, 2010, Department of Mechanical Engineering, SLIET, Longowal, Punjab. 16. 2011, Jatinder Gatg, Jasvinder Singh, Kulwant Singh, ”Some studied in reuse of crushed slag in submerged arc welding and its effect on the physical appearance, bead geometry and microhardness of weld metal” Proceedings of National Conference on Advancements and Futuristic Trends in Mechanical and Materials Engineering” 7-8 October, 2011, PTU, Jalandhar. 17. 2012, Gurmit Singh, Kulwant Singh, Jagtar Singh, “Effect of process parameters on impact toughness and elongation in friction stir welded of aluminium alloy joints using response surface methodology” National Conference on Advancements in Mechanical Engineering and Energy Environment” January 6-7, 2012, SLIET, Longowal. 18. 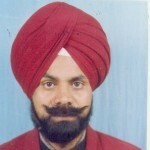 2012, Harish Arya, Kulwant Singh, “Effect of current, voltage and travel speed on microhardness of SAW welded mild steel plate”, National Conference on Advancements in Mechanical Engineering and Energy Environment” January 6-7, 2012, SLIET, Longowal. 19. 2014, Lakhveer Singh, Kulwant Singh, “Effect of heat input on sensitization behavior of 21% Cr Austenitic steel using GTAW process”, TEQIP-II Sponsored National Conference on Latest Developments in Materials, Manufacturing and Quality Control organized by Mech. Engg. Department of GZSPTU, Bathinda during Feb 13-14, 2014. ISBN 978-93-5156-187-3. Page 107-112.